The subjects of Islam, tolerance and liberalism are sensitive topics with both Islamic and local communities. We therefore look for educational settings and other appropriate institutions, particularly those which are interested in dealing with Arab and Islamic issues, or are actively involved in interfaith dialogue. 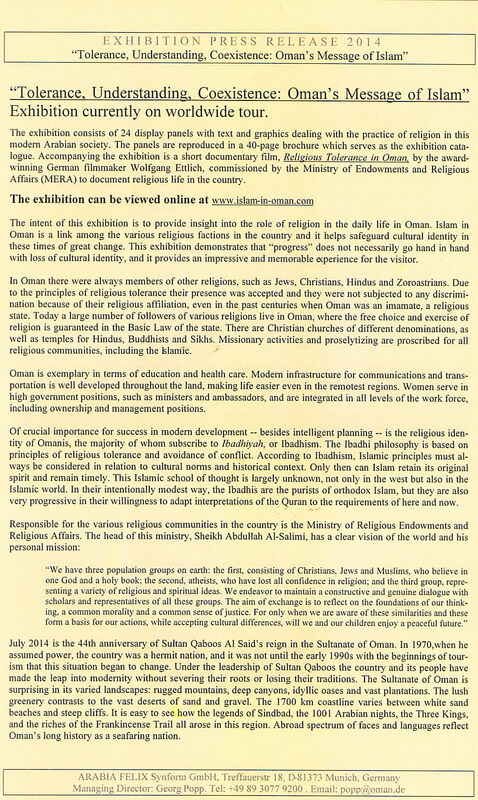 The exhibition was conceived to contribute to a better understanding between Christian and Muslim cultures, and its presentation should take place in a framework that does justice to the subject. Starting in 2014, the exhibition consists of 24 light-weight high-end color prints on canvas, each measuring 70 cm x 100 cm.